In 1999, Habonim celebrated its 80th Anniversary. What lasting impact has the youth movement had on its graduates? Growing up in Leeds during the Thatcher years, each Sunday I would head to the Habonim ken (meeting place) to participate in some activity on Judaism, Socialism, Zionism – one of the three pillars of Habonim’s philosophy. Each winter and summer I would head off to camp under the guardianship of the madrichim, leaders, not much older than myself. Not being allowed my own money, contributing according to my means to the kitty and living on kibbutz in Israel (a year of preparation) between school and university, I learned about and lived socialism. 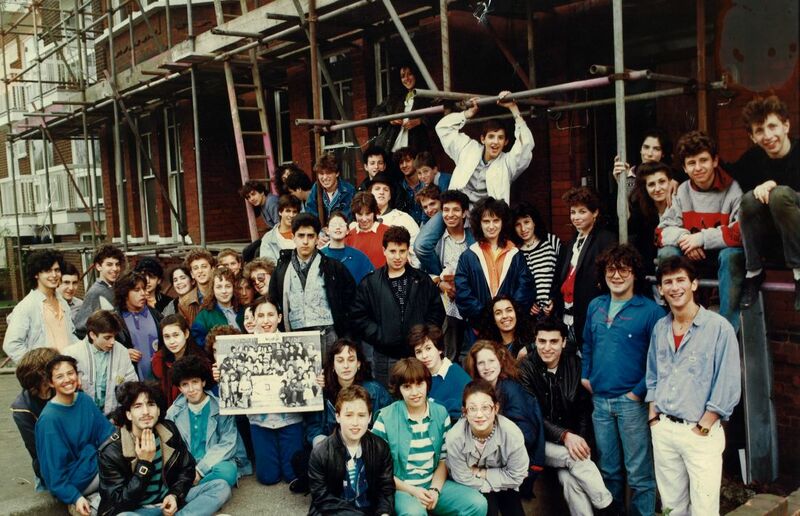 Habonim (the builders) was founded in the East End by Wellesly Aron in 1929 and merged with the East European youth movement, Dror (of which many Warsaw ghetto fighters had been members) in 1982. Sacha Baron-Cohen, Mike Leigh and Baroness Deech have all credited their experience in the movement as a seminal influence in their lives. As a boger (graduate) myself, I too found that the values learnt, friendships made and skills acquired during my time in Habonim, have influenced me greatly. Seth Rogen, the writer and star of recent comedy blockbusters Superbad and Knocked Up, is a recent graduate of Habonim Canada. And closer to home, there is David Baddiel, for whom: “Habonim was my social life for my early teenage years”. And of course there is Mike Leigh. Those who saw Two Thousand Years, his production at the National Theatre, will recall that most of the characters had grown up in Habonim. The most perceptive will have noted the sofa, placed stage centre, matched exactly the blue of the Habonim chultzah (shirt). As I consider the jobs that my own year group have chosen – doctors, teachers, civil servants, charity professionals – I find myself nodding my head. Eighty years on from its establishment, I will continue to argue that Habonim is still the movement that moves, moving those lucky enough to be in the movement. Habonim was a Jewish lifeline for me. I was an only child, growing up in Clapham, south of the river and, as my mother said, we were an oasis of Jewish life in the desert of South London. It was a traditional, very Zionist, but not at all orthodoxly observant family. My father was a refugee from Austria and worked for the World Jewish Congress and in journalism. To compound matters, I went to a non-Jewish boarding school. I longed to meet like-minded young Zionists and so, in my teens, in the school holidays, I made the trip by tube from Clapham North to Finchley, and then another 20 minutes walk up the Finchley Road and there they all were. Exactly as in my imagination: blue shirted, Hebrew-speaking, hora-dancing, poised for aliyah. It was absolutely wonderful, not only because it nurtured my belief in Israel, but also because it was an age of innocence – the 1950s, when Israel was the hero of the world, the unblemished flag-bearer for all that was decent and innovative, and we were so proud to be a little part of it. That love and admiration for Israel has never left me and I was delighted that my daughter, in her turn, was able to go to Habonim in our small community of Oxford and make friends from all over the country. Finchley Road was also the site of my first cigarette and my first kiss, but that is another story! Plenty of people speak about school or university as their formative years, the time when they made their friends for life. For me that was Habonim. I was involved for ten straight years, from age 12, as a chanich in the always small and struggling Edgware ken, right through until I was a second-year student at university. I avoid saying they were the happiest years of my life — who knows what lies ahead? — but they were, in many ways, the easiest, the most free and the most fun. Central was the laughter: I remember so many times — whether huddled in a tent during summer camp or washing saucepans in a huge, industrial kitchen in winter — being consumed by the most sustained, joyful laughter. Next, and we shouldn’t deny it, came the hormones. For a boy at an all-boys school, a night around the campfire with so many girls was nothing less than the garden of Eden. And we can’t forget the politics: long arguments, raging deep into the night. I am sure some of my deepest convictions were formed then, shaped by so many of the charismatic, talented people who were our madrichim, our leaders. It was, in a way, the perfect education. It gave you a ludicrous degree of responsibility at an absurdly young age. I was 21 when I was ‘in loco parentis’ of 101 teenage children on a two-week trip to Holland. After that, you felt you could do anything. I think it’s no coincidence that so many Habo folk have gone on to do great things. What Habonim offered was the joy that is being young, distilled into an especially intense form. I am not lying when I say that I dream of it still. Habonim had a huge influence on me. I first became involved when I was about 10, but I always felt slightly alienated from all the Southern Olim as I was in Oxford, so soon left. But at the time of my barmitzvah, I was having a bit of a crisis and I didn’t know what to do. It was then that I heard Habonim were organising a group visit to see Under Milk Wood at the cinema. It was an AA film, and you had to be over 15 to see it, so I wouldn’t have been able to go along myself. But as part of a group I would be allowed entry. A sad motivation for coming back, I know, but what kept me returning was a wonderful madrich, Steve Israel, a student at Oxford University, who led the ken on Sundays. He gave me a direction that I was missing, particularly as regards my perspective on Israel. Though my parents were Zionists, my father taught Modern Hebrew Literature at the University and he gave me a different view. Besides Israel, it was the incredible sense of humour that I loved about the movement. I became the guy that always did the sketches. There was a muscle there that I was able to exercise. Everyone would always ask, “Dan would you do something”. And I would just do it. You develop this confidence, standing up in front of people, and trying stuff out. It was a remarkable free education. Who knows whether I might have ended up where I am today without it. I actually began feeling sorry for my friends who were not Jewish. I was leading this weird double life where I would commute to London and be with wonderful people, and of course girls! First published: Jewish Renaissance Magazine, October 2009 Issue.